A conservancy group says the sharks were discovered Wednesday in Orleans and Wellfleet. WELLFLEET, Mass. — A shark conservation group says two thresher sharks that washed up on the Cape Cod shore likely fell victim to the bitter cold. A statement from the Atlantic White Shark Conservancy says the sharks were discovered Wednesday in Orleans and Wellfleet. Officials believe they succumbed to cold shock. The conservancy’s program director, Michelle Wcisel, tells the Boston Globe that both sharks were about 14 feet long. State and federal officials also responded to help collect organ and tissues samples. 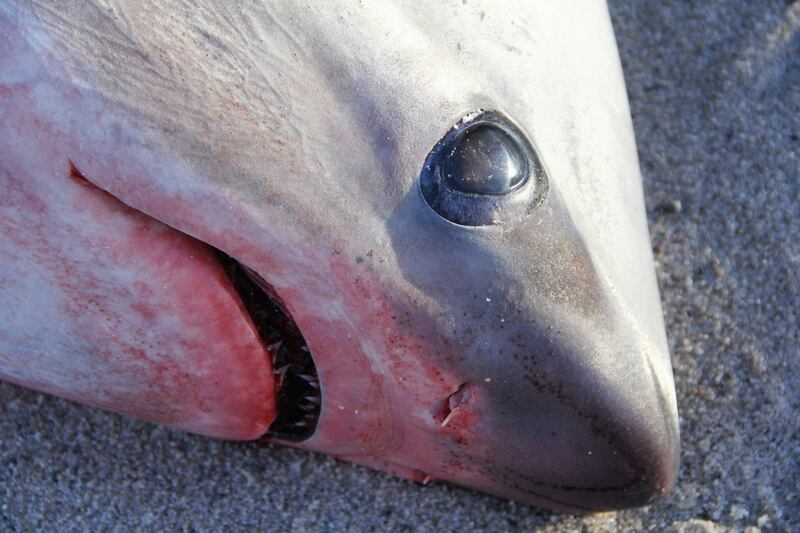 One of the thresher sharks found washed ashore on Cape Cod.